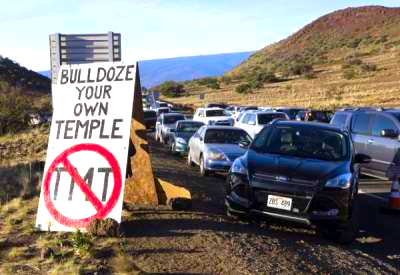 Property and community of Hawai'i's indigenous people are threatened by development of sacred Mauna Kea. Similarly, construction of the Dakota Access Pipeline by Energy Transfer Partners is being forced upon native communities, uprooting their environment. 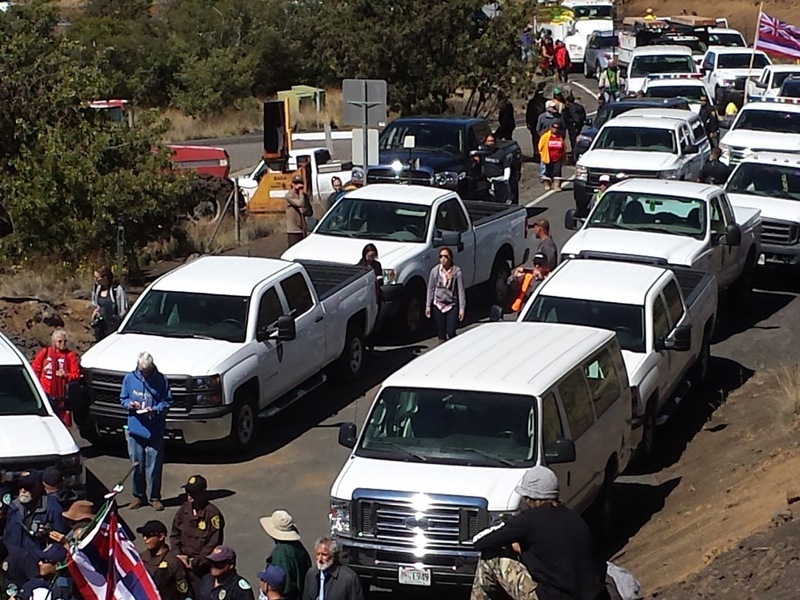 On Mauna Kea, should cars and vehicles be allowed at the summit? Early maneuvering by pro-development forces sought to stifle resistance through arrests claiming protestors blocked traffic. When people can tour through special places in their own messy vehicle, chugging slurpee, listening to sports or talk radio, eating a burger, they too easily overlook the fact they are guests within an honored & exceptional place. We too often give precedence to motor vehicles. Ban cars from upper Mauna Kea. Heavily tax every allowed vehicle, with revenues to Native Hawaiian programs.